We have had an incredible outpouring of love for our entire family as they learn of the passing of our sweet nephew, Ryker. We've also had many ask how they can help. Ryker's mother is a single mom with 2 little boys to take care of in the wake of this tragedy and doesn't have the means for Baby Ryker's funeral or associated costs. Thank you in advance to all who express love and support in this way. It will go a long way in helping her properly mourn the loss of our sweet, little baby. As many of you know, Baby Ryker's funeral was held today. Please know that your love and support was felt by his family today. Thank you again for all you have done to lift them up in their time of need. I'm in awe. 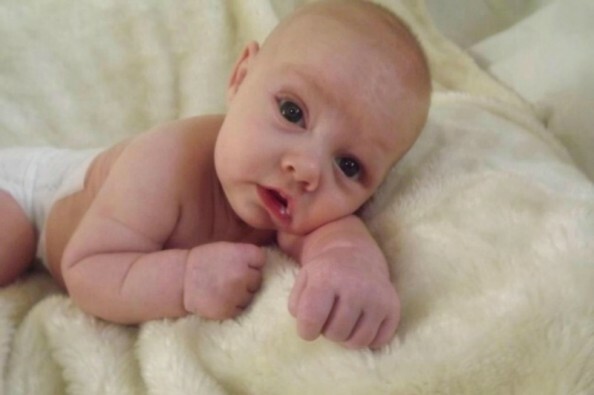 We're almost half way to our goal of $10,000 raised in memory of Baby Ryker. His family is "unbelievably touched" by the outpouring of love shown by each of you; whether by donation, thought or prayer, it's making a difference. Thank you. Thank you for all of your donations, thoughts and prayers. Your love is truly felt. We've just surpassed $2,000. Wow. This will help Amanda in so many ways. You are all so very gracious. Thank you. God Bless and Keep You. Our deepest sympathy at the loss of Baby Ryker. We will keep all of you in our prayers. Hold those boys tight and know that they are your world now and you are theirs. The past is the past and your future is theirs. Thank you for your sweet comments and donations. I know they will comfort Baby Ryker's mother, siblings and family. I'm so sorry . We're praying for you and your family, Ryker. This is so tragic and my heart aches for his mother. I pray that she will be able to lay her baby to rest and that she will find peace. Our thoughts and prayers at with you!! Amanda, I am so sorry for your loss. You and your family have been our thoughts and prayers. I was Lizzy's friend and remember how sweet you were and it breaks my heart that you are going through this. Your family is so amazing! God bless you and may you rest in peace for all eternity. Your not alone. Your loved and in our thoughts and prayers.